Rather than yet another "Last Week On Pyro" spot, I'll just refer you here, which in turn refers you everywhere else you need, and then I'll assume you know All That. So on the original cover from the Assemblies of God, we see a listing of Islam, atheism, pluralism, annihilationism, Buddhism, Calvinism, and Eternal Security as "challenges to the Gospel." Notice anything that all those ideologies and concepts share in common? Here 'tis: from the perspective of the AoG, all of those are "them-problems." As even the apology points out, the AoG has formal statements that deal with many of these issues, with the exception of Limited Atonement. Does that mean that the editors see the Assemblies of God as itself facing no real, internal "challenges" to the Gospel? As I pointed out, the AoG has played a role in bringing us Jimmy Swaggart, Jim and Tammy Faye Bakker, Paul and Jan Crouch, and David (Paul) Yonggi Cho. Should not some of the doctrines promoted by any or all of these people have warranted a sign on the post, and a devoted article? It is true that the AoG produced a position-paper titled "The Believer and Positive Confession." But that was in 1980. Has this false teaching gone away? Is it still a virulent presence among charismatics? Is it a challenge to the Gospel? Does it really come nowhere near an Assemblies of God church? The "Calvinist's" affirmation of the Biblical doctrine of God as a mighty and competent Savior is a challenge, but this isn't? Wouldn't it have made a good "us"-warning? Beyond that, I do have a major concern of my own, an AoG position that I see as a challenge to the Gospel. But it is a fundamental AoG position, and for the AoG to recognize and address it would mean a major reformation to the denomination. That would be a wonderful thing, long-overdue to my mind; but I wouldn't expect it in a mere article in a denominational magazine. It's an odd thing, too. Though this is a major position of the AoG, I find that many advocates are less than candid or honest about it. I have in the past simply directly quoted or paraphrased their own words, to be greeted by explosive reactions and denials from AoG promoters or devotees. It is as if they are profoundly embarrassed to the point of denial, yet not enough so actually to change as needed. ...the baptism in the Holy Spirit...is a special infusion of God’s power to better enable [sic] the believer...to live the full, faithful life God has promised and expects. The Scriptures... teach that every believer should earnestly seek and expect this Baptism [sic]. The first physical evidence is speaking in an unknown language (Acts 1:5; 2:4, 39; 5:32; 19:1-7). Well now, I think we can all agree that those are wonderful Christian graces, can't we? In fact, they're not just wonderful, they're essential, wouldn't you agree? So when I turn from the AoG's self-admitted fundamental teaching, and to the Word of God, what do I read? I could go on and on, but the contrast is stark. The AoG tells me that I, a born-again Gospel-believing Christian, lack essential equipment. I do not have all I need in Jesus Christ and through the Gospel. I am not fully equipped and fully empowered for service. The Father has not graciously given me all things that I need for life and godliness when He gave me Christ, I have not been blessed with every spiritual blessing (see the following verses), I have not been filled full in Christ, and I have not been granted all things essential for life and godliness. I am doomed to limp by, inadequately equipped, until I am upgraded to Christian 2.0. Indeed, I am still split off. The AoG's God evidently does not see all of humanity in two races (in Adam and in Christ, Rom. 5:12-21); He sees it in three — in Adam, in-Christ-but-still-not-really-all-there, and in-Christ-and-fully-equipped. While the genius of NT Christianity is that it puts all Christians on absolutely equal standing spiritually before God, the AoG subdivides Christian from Christian in an essential way. John the Baptist said Messiah would baptize all His followers in the Spirit (Mk. 1:8), the AoG says He did not. Paul says that everyone who is in the body of Christ got there through baptism with the Spirit (1 Cor. 12:13); the AoG said they did not. Paul says there are only two defining, categorical relations to the Spirit (Rom. 8:9), the AoG says there are three. And by the way, it is difficult not just to ponder a bit further. Since engaging in the post-1906 fake version of "tongues" is essential as a proof of this second (but essential) experience, we can say that everyone who has not done so has not been Spirit-baptized. According to the AoG, then, every Christian after the apostles and prior to 1906 operated at less than full capacity. Somehow Augustine, Athanasius, Calvin, Luther, Knox, Owen, Machen, Warfield, Spurgeon and all the rest did what they did without that special enabling they need to really-really love God and serve Him. And given that, it is difficult not to ask what the entire pentecostal movement has produced since 1906 that shows how much better their experience equips them to serve God, over against Calvin and Whitefield and the rest, who had just Christ and just the Gospel and just the Spirit as given through the Gospel? So we all know that it was a violent abuse of Gal. 3:26-28 to try to make it a feminist motto, authorizing our violation of other Scriptures in suggesting that women can be pastors. But doesn't it apply here? And doesn't Col. 3:11? Mightn't we, by application, legitimately add to the list of excluded divisions "haves and have-nots," or "regulars and premiums," or "normal and super-sized"? Believe me, all this is only scratching the surface. So how could we even suggest that this should be seen as a challenge to the Gospel? In that the gift of the Spirit is a fruit of Christ's work on the Cross (Jn. 16:7; Acts 2:33). It is an essential spiritual blessing of the Gospel. If I partake in the Gospel, I partake in all its blessings — including the full essential enabling ministry of the Spirit. There are not three categories in the NT: have-nots, have-Christ-but-that's-not-enough, and have-Christ-plus-high-octane-enabling. I can believe that these implications are not intentional, and I know these conclusions will be denied, but I would just remind the reader that simply issuing a denial is of little objective evidentiary value. You just can't get around it. To the AoG, if you've trusted Christ and believed the Gospel, that's a great thing, it's a wonderful thing, it's an all-important thing...but it isn't everything you need. Isn't that a challenge to the Gospel? You mention that there was an 1800 year gap in the miraculous gifts. I know that we don't see them prominent in church history once the Apostles passed from the scene. My question is, do Charismatics see it differently? Do they claim a manifestation of these gifts all through church history that just wasn't reported? While a decent question, that is really besides the point. Let's please stick to the post. I was an Assemblies of God preacher's kid. I'm now PCA. You NAILED this article. You articulated exactly how I felt growing up. It was so works based. Trying always to be good enough to get a little bit more of God, but never succeeding. Thanks, Daphyne. If history is a predictor, there will be many denials, or folks insisting that the AoG didn't actually mean what it said (I've received both), so your insider's view is helpful for starters. Definitely, their doctrine on the Baptism of the Spirit challenges the Gospel, and thank you for having the courage to address it. I've heard some AoG churches go even further, saying speaking in tongues is a sign of salvation (of course implying that those who don't do so aren't saved). That's a very serious teaching! Now DebbieLynne, if that is being taught in any AoG church, given that I am pretty sure that the AoG would not affirm that, it looks like it would have been a perfect "us-problem" addition to that signpost. I wish that people didn't tend to get so tripped up on baptism by fire. When Jesus baptized by fire, it was to those who were the chaff being burned to destruction, not for equipping super-saints for service. Such designations fall right in line with another denomination...the RCC. The problem with both is that they are establishing this "super-saint" designation based upon man's grand scale instead of what God tells us in the Bible. Great work, Dan...although, as you alluded to, I'm sure you could write a whole book on this. So without the baptism of the Spirit, most of us are in some sort of spiritual pergatory salvation state? I think it would be saved but not really worshipping God with all our might or without the full help of the Holy Spirit. That's actually a very good point, Sonja. As others (Trogdor?) observed, the temporary-eternal-life position has us not so much saved as on probation, and Jesus not so much our Savior as our Probation Officer. Then this doctrine adds to it that, when we are "saved" (? ), we aren't really initially even given what we need as Christians. Therefore we don't really have all the advantages we need to stay saved. So just believing the Gospel leaves you on probation and not fully equipped to pass the exam. I really hadn't made that connection. Good point. Not a happy point, but a good one. Great post. As a former charismatic AoG-er, this still sticks in my craw, and as you say, this is only scratching the surface of the double-think and double-speak that goes on in the AoG regarding this subject. I've heard speaking in tongues referred to as "The Bomb" (as in the nuclear bomb sense, spiritually), have heard that people who are saved but not speaking in tongues "have the Spirit but not the full manifestation of the Spirit" and all sorts of politically-crafted fuzzy thinking on the subject. Oh and don't forget the Full Gospel Fellowship. Implying that everyone else is the Partial Gospel Fellowship. Kerry - I have that Upton Sinclair quote on my desk - one of my favorites. I wonder if this "second blessing" doctrine isn't in itself a reaction against the dead orthodoxy that is prevalent in many Reformed circles. Far too often I've witnessed church-goers mistake regeneration as merely an intellectual assent given to catachisms, creeds, and confessions. And sanctification is viewed as merely a growing in that theological knowledge. All the while a robust New Covenant awareness of the Spirit's indwelling new life and power is completely absent. The most passionate, powerful, robustly Biblical voices I've heard against that, John, are Reformed preachers and writers. Without making up even one extra category or novel doctrine! But even granting what you say, John, the remedy for death is not delusion. I graduated from an AoG college with a theology degree also so I know exactly what they believe. The AoG absolutely does not believe that baptism in the HS is required for salvation. They do however believe that the baptism in the HS enables the Christian to walk in what Charles Finney would have called "Christian perfection." They also believe that you cannot truly experience "joy in the Lord" without the baptism in the Holy Spirit. In the AoG unfortunately the focus can shift to your emotions as an indicator of your spiritual state. They feel pity for Christians who try to go through their Christian life without the baptism in the Holy Spirit. They view it as Christians trying to walk across the desert of this world with only one water bottle. Yet another challenging post to which I can only give a short reply. First, you're correct that the summer 2012 issue of Enrichment focuses on "them-problems" rather than "us-problems." That was my choice as an editor. My choice does not imply that I don't find challenges within the Pentecostal community generally or the AG community specifically. There are a number: the Prosperity Gospel, fixation on novelty and spontaneity, weird theologies of spiritual warfare, the "Corinthian" errors incidental to charismatic movements, eschatological speculation, etc. Before this controversy erupted, I had already determined to address these issues in an ongoing series called "Testing the Spirits." I've also begun planning an issue on spiritual warfare. One final note on this topic: The Commission on Doctrinal Purity is revising and updating all of its position papers and plans to tackle some of these issues in official papers. Second, the General Council of the Assemblies of God has the authority to change its doctrinal statement. I don't. So, you won't see any articles in Enrichment advocating the change to Article 7 you long for. Third, "And given that, it is difficult not to ask what the entire pentecostal movement has produced since 1906 that shows how much better their experience equips them to serve God, over against Calvin and Whitefield and the rest, who had just Christ and just the Gospel and just the Spirit as given through the Gospel?" I'm not sure what kind of evidence you would take as probative here, but I'll offer the numerical growth of Christianity worldwide as possible evidence. According to figures in the Operation World database of Christian groups, in 1960, "renewal movements" (evangelicals, Pentecostals, and Charismatics) together constituted less than 100 million persons worldwide. In 2010, they number just under 600 million. If current trends hold, OW projects "renewal movements" to comprise approximately 1.1 billion believers by 2050. The interesting thing is that the vast majority of growth has been borne by the Charismatic and Pentecostal subsets of "evangelicalism"--somewhere between 80 and 90 percent. (See Patrick Johnstone, The Future of the Global Church: History, Trends and Possibilities, pp. 121-131). Worldwide, the Assemblies of God has grown from roughly 300 persons at its founding in 1914 to nearly 65 million today, the vast majority of it in the developing world. Obviously, numbers don't prove the truth of doctrine. Still, why is it that the evangelical church has experienced such an explosion of growth in the last 100 years, especially in the last 50 years? Could it be, at least in teensy-tiny measure, because the Holy Spirit is genuinely at work among Pentecostals and charismatics? Is this even a possible explanation in your mind? George, sincerely, thank you for taking the time to respond. The possible changes and future issues you allude to will be interesting to see. (I write with a smile) In another meta, I think you accused me of the "no true Scotsman" argument. Now it is my turn to accuse you of the "fifty million Frenchmen" argument. It's partly my fault for not specifying that I had in mind not primarily size of the mass of followers — which, as you correctly note, is of zero probative value in issues of truth — but quality of the contribution to the general Christian mind. Has any AoG writer contributed anything original even within rifle-range of Calvin's Institutes, Owen's Works, Spurgeon's sermons, and so forth? Note too, that for it to be of evidentiary value, one would have to prove that these contributions were owed solely to the AoG's distinctive doctrines, not to what all Christians affirm because of our common possession of the Bible. "Obviously, numbers don't prove the truth of doctrine." Isn't that the truth. The AoG refuses to deal with heretical preachers in its midst whenever the preacher is bringing warm bodies into the pews. What's the response I always got to that question? It goes something like this, "God will separate out the sheep from the goats eventually." Numbers are everything in the AoG and always used as proof of spiritual superiority. Sadly, the vast numbers of goats are skewing your stats. I believe it was John Wesley, not Charles Finney, that was known for the teaching of "Christian perfection" (though Finney may have also promoted it). Though some ministers and/or congregations may hold to this view, it is not the official doctrine of the A/G. The A/G views sanctification as both positional (we are declared holy when we are saved) and progressive (the Holy Spirit works in us to conform us to the image of Christ as we grow in grace and knowledge), with final sanctification (the elimination of our human sin nature) only occurring when we are finally in the presence of God (either through death of the body or at the Rapture). You are correct about it in part being a reaction to dead orthodoxy in the late 1800s to early 1900s, as the A/G and other groups grew out of restorationist movements of that period seeking to regain the life and power they read about in the Book of Acts. The "second blessing" teaching goes back to Wesley originally, who saw it as granting "entire sanctification" or "Christian perfection." The concept of the second blessing underwent various permutations in the 19th century in Wesleyan/Holiness circles, with A.B. Simpson of the CMA identifying it as a special empowerment for service (this is the view that the A/G takes). I wrote: "Obviously, numbers don't prove the truth of doctrine." You wrote: "Sorry, George, but if stats are indicative of truth, you guys lose to the Catholics and Muslims." Could you please explain how you make me affirm what I explicitly deny? As for my citation of statistics, I was explicitly responding to this question from Dan: "And given that, it is difficult not to ask what the entire pentecostal movement has produced since 1906 that shows how much better their experience equips them to serve God, over against Calvin and Whitefield and the rest, who had just Christ and just the Gospel and just the Spirit as given through the Gospel?" (1) Dan asked me what Pentecostalism had "produced." I'm not sure what kind of evidence Dan is looking for here, so I cited statistical evidence. (2) Dan specifically referred to "Calvin and Whitefield and the rest." I inferred that Dan was referring to evangelistic effect (perhaps wrongly). If rightly, however, that means Dan introduced the issue of "stats" (however implicitly), not me. As I stated, however, I'm not sure what kind of evidence Dan would consider probative. (3) After citing these stats, I ended with a question: "Could it be, at least in teensy-tiny measure, because the Holy Spirit is genuinely at work among Pentecostals and charismatics? Is this even a possible explanation in your mind?" Do you guys even rejoice that hundreds of millions of people have found Jesus through Pentecostal and charismatic churches in the past century? One more comment: Your statement, "It is hard to get a man to see the truth of something when his salary depends on him not seeing it," strongly implies that I am disingenuous in my profession of Pentecostalism, that I do it for the money. That's simply beneath contempt. It wasn't Trogdor who introduced the "probation" idea, it was Kerry James Allen. Kerry both introduced it, and pursued it through the meta. George, I hereby publicly apologize and ask your forgiveness for any offense given and I obviously rejoice at anyone who comes to faith in Christ anywhere by any means God uses. Philippians 1:18.
hi dan. I was saved and discipled in a traditional aog church. This teaching took me years to figure out as did many others like the doctrines of grace - lots of wasted time. In fact in order to be consistent my specific group in South Africa has a doctrine of two spirits - that Of Christ and the Holy Ghost. two Spirit baptisms - one into Christ BY the Holy Spirit and the baptism into the Holy Ghost by Christ. Obviously initial evidence of the second is "tongues" and it just degenerates from there. All this plus apostles, gifts (as usual you only see tongues, interpretation and prophecy) as its a bit harder to raise the dead than speak in gibberish. Very very sad. You are spot on - its THIS teaching that is the aberration that led to all the other BUT as John macarthur pointed out recently in his 13 part sermon on the minsitry of the Spirit and summarised st the SC 2012 it is the misunderstanding of the work of the Spirit from the beginning ie regeneration that is actually at the root of aall this. arminianism to wesleyanism to holiness movement to pentecostal to charismatic to out and out heresy. Thanks for clarifying what you were looking for! "It's partly my fault for not specifying that I had in mind not primarily size of the mass of followers — which, as you correctly note, is of zero probative value in issues of truth — but quality of the contribution to the general Christian mind." I understand citing Calvin for contributing to the Christian mind, but Whitefield? What unique intellectual contribution did he make? Edwards would be a better example. And why should contributions to "the Christian mind" count for more than conversion? Why is that your metric? And to reiterate a question: Do you and your readers rejoice that hundreds of millions have come to faith in Jesus because of the Pentecostal and Charismatic movements? In reading the comments on this thread (and on others), it's sometimes hard to tell whether commenters think Pentecostals are merely heretics rather than just idiots. Thanks, Kerry! Accepted and granted. Brother, as always, I'll do you the honor of being honest. I wouldn't say so much that I have mixed feelings as two sets of feelings. That ANYONE genuinely preaches Christ, and that ANYONE is saved by God through that preaching, I rejoice, period. But for the reasons I touch on in the article, I can't rejoice that the convert will then be discipled in AoG doctrine. Look, I absolutely and sincerely believe that every one of us will be enrolled in a Corrective Theology 101 class at the start of the Millennial Kingdom, and I have zero doubt that my name is on that roll. But I can't think and write now on the basis of what I will know and understand then. I have to go by what I learn from the Word, with God's blessing on my best efforts (2 Tim. 2:7). And, given that, I have the profound misgivings I try to begin to express in the post, above. Make some kind of sense? And to reiterate a question: Do you and your readers rejoice that hundreds of millions have come to faith in Jesus because of the Pentecostal and Charismatic movements? To reiterate another question I had, what are these people being converted to, if a large portion of those "millions" are because of TV ministries like TBN that preach a false gospel? Besides that, no one is coming to faith because of the Pentecostal movement. They are coming to faith because of the Gospel and the working of the Holy Spirit within them, right? To tack on to what Dan just said, and to speak only for myself (though I'm fairly certain others would have a similar concern), my rejoicing over the reports of the spread of Christianity across the world and particularly in developing nations is tempered by my fear that the Prosperity Gospel and it's conversions are being included in those reports. It seems, from your comments here and elsewhere, that you would stand against the Prosperity message, and for THAT I rejoice. I don't have any hard data - I don't know if anyone does, though I'd love to see some - but anecdotally that other gospel which is really not a gospel at all seems to often be the tip of the arrow of worldwide charismatic evangelism as it tries to pierce the hearts of those in developing countries. Sorry, the above comment should have been addressed to George. Your comments about Corrective Theology 101 make perfect sense to me. That's how I feel about myself too (and about those Christian brothers and sisters with whom I disagree). I'm going to take a (very inadequate) stab at answering what I take to be the core of your objection to what the AG refers to as "our Pentecostal distinctives." You wrote: "I could go on and on, but the contrast is stark. The AoG tells me that I, a born-again Gospel-believing Christian, lack essential equipment. I do not have all I need in Jesus Christ and through the Gospel. I am not fully equipped and fully empowered for service. The Father has not graciously given me all things that I need for life and godliness when He gave me Christ, I have not been blessed with every spiritual blessing (see the following verses), I have not been filled full in Christ, and I have not been granted all things essential for life and godliness. I am doomed to limp by, inadequately equipped, until I am upgraded to Christian 2.0." God has indeed blessed us in the heavenly realms with every spiritual blessing in Christ. That is an objective fact. But at the level of subjective appropriation of those objective blessings, the picture looks a bit different. For example, God has saved me by grace through faith (Eph. 2:8), but I still need to "grow in the grace and knowledge of our Lord and Savior Jesus Christ" (2 Pet. 3:18). God "who is rich in mercy, made us alive with Christ even when we were dead in transgressions" (Eph. 2:4,5). But we still need to "put off your old self...be made new in the attitude of your minds...and put on the new self" (Eph. 4:22-24). "When you believed, you were marked in him with a seal, the promised Holy Spirit" (Eph. 1:13), but we must "keep in step with the Spirit" (Gal. 5:25), "not grieve the Spirit" (Eph. 4:30), and "eagerly desire gifts of the Spirit, especially prophecy" (1 Cor. 14:1). These passages describe all the provisions God has given us which must (paradoxically) be laid hold of by us. Does recognizing this distinction create a two-tiered Christianity, or does it reflect the biblical dynamic of the indicative (what God has done) and the imperative (what we should do)? Excellent post Dan. Apart from some of your colourful labels (loved your 'normal/super-sized' reference- very McDonald'sy) I doubt whether the basic premise would actually be denied by our AoG/ Charismatic brethren. All too often I have had well-meaning brothers and sisters pray for me to 'receive so much more from God'! I think one of the biggest problems, and yes, challenges to the gospel, is that despite what Jesus said in Matt. 12:39, sign-seeking is seen as a virtue. Sadly, I think this appeal to the senses is the reason for popularity among these churches. The desire for 'things to happen' overwhelms sound doctrine, and the more people get, they more they crave. The only thing that the AoG does have going for it though, is at least they have a 'doctrinal statement' and you know roughly where they stand. All too often (certainly here in the UK) churches skirt around the issues in an attempt to be 'inclusive'. For that distinction to work as an explanation, wouldn't the Baptism of the Spirit have to be something we should do (imperative)? "Has any AoG writer contributed anything original even within rifle-range of Calvin's Institutes, Owen's Works, Spurgeon's sermons, and so forth?" This question, to me, is like criticizing Michael Phelps for not being good at golf (Phelps is a professional swimmer). Is it really so surprising that Calvin, Owen and Spurgeon were able to vastly influence the Western church, highly literate cultures tracing their intellectual heritage back to Europe? But to what extent have those figures been able to resonate with oral-based cultures or today's emerging second orality? The results are decidedly mixed. If one is to assess the lasting legacy of Pentecostalism, it should be measured on its own terms, not according to another theological strand's distinctiveness. Pentecostalism has seen its most significant growth among non-Western cultures globally and in racial and ethnic minorities in the West. One could (unfairly) ask what impact reformed theology has had one the single impoverished West African woman. The experiential and missional focus of Pentecostalism is its greatest strength and lasting legacy. Of course, it's also its greatest weakness, just as reformed theology struggles against overemphasizing of the cognitive aspects of the Christian faith. Baptizing believes in the Spirit is what God does. Ardently seeking and earnestly expecting it are what we do. I said, "Obviously, numbers don't prove the truth of doctrine." Which you interpreted as: "zero probative value in issues of truth." I'm not sure that's exactly what I meant. Acts 2:41 says, "Those who accepted his message were baptized, and about three thousand were added to their number that day." It seems to me that the Jerusalem church counted baptized noses and Luke recorded the sum as evidence of the marvelousness of God's work that day. In other words, numerical growth has some evidential value, not zero value. Both of us affirm that numerical growth doesn't prove truth in and of itself. But when it comes to the propagation of the gospel, surely numbers tell us something. Otherwise, why count noses in Jerusalem on Pentecost? "Eagerly desire gifts of the Spirit, especially prophecy"
the Apostle Paul is probably not talking about "prophecy" as defined in the A/G, which would include (for instance) Benny Hinn's prophecies about the two ends of the world that were to occur in the 1990s. "Otherwise, why count noses in Jerusalem on Pentecost?" Because in that case, we knew what Gospel they were being won to. In the 600 million noses you've counted, we don't. I think that's the main difference, isn't it? Numbers may be useful, but we cannot put too much emphasis on them. Yes, Peter preached in Jerusalem and many were saved. Paul preached in Athens and only a few were saved (Acts 17:34). They both exercised sign gifts. They both preached the same gospel. Yet they had vastly different numbers on separate preaching occasions. George, I think I can answer why so many outside the Pentecostal camp don't put too much stock in numbers. The church growth described in Acts were assuredly true converts. All numbers reported subsequent to the closing of NT cannon are subject to the possibility of many being false converts. OK -- I was busy all day, but I read this post earlier and came back to it. I agree with everything DJP said in this post -- expect his assessment of formal AOG acceptance of other Christians as Christians. On that matter, I think -logically- they ought to agree with his statements, but -in practice- they are a little less cultic and insular. I am really pleased that George is engaging you on these items. This is the most productive interaction I've seen here in a long time. Maybe ever. "I agree with everything DJP said in this post -- expect his assessment of formal AOG acceptance of other Christians as Christians." Frank, I cannot understand what you are trying to convey here. Can you translate please? Thanks. By saying that the numbers in Acts 2 are evidence of God's work because we know the "gospel" was being preached and because the 3000 were "true converts," you're implying that (at least a sizable number of, if not the majority of) Pentecostals and charismatics do not preach the true gospel and therefore are not making true converts. (a) If this is not in fact your (implicit) argument, why make the statement at all? (b) As I read through these posts, I keep bumping up against what seems to a common view of posters here that it's questionable whether Pentecostals are Christians at all. I'm less than happy to acknowledge that there are theological weirdnesses in the global Christian movement, including my own Fellowship, the AG. But I don't dispute that these people are making a genuine profession of faith in Christ. Do you guys believe Pentecostals worldwide are Christians? If you say, "I don't know," then we have a far more basic issue than theological differences. We're talking about whether Pentecostals are inside or outside of the Christian fellowship itself. I'm glad to know that you think in practice we're "a little less cultic and insular," though that implies we're cultic and insular in theory. I'll grant insular (as far as you can call a 65-million adherent Fellowship that posts its doctrine on the web and has the editor of one of its most prominent publications interacting with critics on their blog "insular"). But cultic? CULTIC? I was not trying say anything about false converts. I was commenting more to the use of numbers as a measure of effectiveness. I don't believe that numbers can always convey how effective or faithful one is. I concede that false conversion is a problem in every church. If we think about it, Judas fooled everyone but Christ until he finally betrayed Him. I see people using numbers to say who is more biblical (ref. Ed Young's recent sermon against Calvinism) when the Bible does not use this as a measure of an effective church. David - "The desire for 'things to happen' overwhelms sound doctrine, and the more people get, they more they crave." And then The Law of Diminishing Returns kicks in, and before long you're barking and mooing and imagining gold dust. Discontentment has ruined many a soul. Starting with Eve. George, when you ask "Do you guys believe Pentecostals worldwide are Christians?" I would have to answer (for myself only)that I think there may be as many true converts among Pentecostals as any other denomination, and perhaps even more than in most denominations. However, when I hear numbers like hundreds of millions of converts, I get much the same feeling as when I (as a Baptist)hear that the Baptist mega church down the road, with its gospel of easy believe-ism, has had a service where 100 people asked Jesus into their hearts. Praise the Lord if they are genuine converts ...but I fear the bulk of them are not. (1) As an individual believer, I apologize to all if my understanding of a subsequent work of the Holy Spirit communicates superiority to any. I would not want that to happen. (2) To dismiss any indication of a second work of grace as not found in scripture isn't fair. Subsequence is I believe an acceptable conclusion from reading of NT scripture. At least do us the justice of acknowledging our theological conclusions are viable even if you do not agree. (4) The discussion of AG and Pentecostalism is hard because Pentecostalism/Charismatics are so broad. Many of the charges laid here against the AG here, aren't really fair since the AG has stood against them as well (prosperity, charismatic movement, tongues as evidence of salvation, gold dust). I think any movement, denomination, theological school can't be judged by extremists in it midst. (5) George Paul has done a solid job on the instantaneous/progressive or indicative/imperative instructions in the New Testament. Did anyone answer this or did i miss it? (There's a lot on here! I concede I might have missed the rebuttal to this) Help a brother out and point me to it. Thanks! Do I believe most Pentecostals are Christians? Yes. Do I believe the highest profile AoG inspired outreach (TBN) preaches a Biblically-sound gospel, or anything close to it? No. Do I believe most of the people who hear that outreach and it's false gospel truly become converts? No. Do I believe that TBN and outlets like it bring shame and ridicule to the Christian community and identity at large? Yes. Do I believe the AoG should soundly rebuke, censure, etc once and for all that network, and all it's works and all it's ways, as if it understood what the gospel message and it's manifestations are and ought to be? Yes. Have they done so? No. My experiences at the congregational level in A/G and other Pentecostal churches is that no matter what the national level may be saying, in reality the nuttiest practices are the ones that are encouraged, criticism of those nutty practices are shushed down based on bad theology, hence the proliferation of what you call "weirdness," and the gospel is maligned. IMO the Pentecostal community either needs to get serious about finally eradicating the nutty beliefs and practices that originated in the hills and hollers of the rural US, or stop getting upset that they aren't taken seriously. Thank you. PS: and they need to do so even if their numbers go down as a result! As a former ordained AoG minister, I'm surprised that no one in this thread has mentioned the precise nature of this "distinctive" that is so difficult to biblically defend. Many orthodox traditions have argued for a "second work of grace", and George does a good job of placing that belief within the boundaries of legitimate biblical interpretation. The astounding aberration of the AoG is the denomination's biblically indefensible insistence that the evidence of that second work of grace is speaking in tongues. This is the core distinctive of the AoG, and it is one that I would imagine even George would admit is facing crumbling adherence in the denomination. I participated with them because they were the most completely sold out believers on campus. Street witnessing, commitment to personal holiness, bible reading. They were all in - mind body and soul. The rest of the groups - generally pretty mind orientated, not much for the actual getting out there are doing something. Needless to say, I played a lot of Kieth Green albums. I never spoke in tongues - I never felt like I had to. Always felt welcomed, talked a lot about grace and Jesus. Never been an AG member - attended a local E Free church. And they were happy about that to. Hey, anything I said is directed at the A/G and its practices and teachings, not at the people. There are wonderful people at the A/G and every other pentecostal church I ever attended. Being pentecostal doesn't disqualify you from being a sold-out Christian, but it does lead to all the problems, heartaches, etc that bad theology can lead to. I used to observe that some of the characteristics that led to being pentecostal (naivete, gullibility, and being easily pressured into nutty acts) also made them some of the least cynical people around. Of course, along with all the issues that also come along with those characteristics (such as being bilked out of all one's earthly belongings by prophet-con-men, something I saw all the time preying on pentecostals (incl. TBN bilking people out of money via the "give me $1000 and you'll get $10000 in return). Naturally, you could not warn anyone about these con men without being shamed for quenching the Spirit! Hello. I hope that I correctly express what I mean to, but English is my second language and I am not always so good. I would like to share that I was led to Christ by an Assemblies of God missionary who was ministering in my home country -- which is a country where it is not legal to speak of Jesus, as such I will refrain from sharing many details. After I converted to Christ, many members of my family followed. This man encouraged me to study the Scripture as best I could, and to follow as the Scripture said. This was my first interaction with the Christian Bible. Unfortunately, this man was forced to leave our country due to his preaching, before I had a chance to fully ask him questions. I was left only with the Scripture. Through the New Testament I found over and over again to look for Holy Spirit to affect me. Paul even told me through his letters that he wanted everybody to speak in tongues. This was strange for me, because in my country there are many who speak in strange languages and they are not Christians. How could the Bible be asking me to do like them. Through much prayer, I asked God to show me, and I did begin to speak languages that I did not know. I know that they are not demon in nature, because I can still affirm Jesus as my Lord while practicing. My family, too, has displayed like this. I now live in USA, studying at university as a way to be out of my oppressive home country. But when here I am told that my experience with Jesus is wrong, because people are not supposed to speak in languages anymore? Why would it be ok then and not today? Why would the Bible say something for everyone if it is not really for everyone? Is my experience bad? "But when it comes to the propagation of the gospel, surely numbers tell us something. Otherwise, why count noses in Jerusalem on Pentecost?" Souls (not noses) were kept track of (not counted). The numbers presented in Acts reflect those baptized and brought under the apostle’s watch-care. Did anyone else find this post strange? A reformed Calvinist cessationist lobbying and holding out hope for major reformation in a pentecostal denomination. I mean even if the A/G reworded the tongues fundamental truth there are still a host of issues that would cause a cessationist to scream anathema. It's like sitting down with the pope and requesting one minor thing, abolish the mass, it would make the veneration of Mary more tolerable? Hey maybe I'm wrong, maybe we'll see Dan Phillips as featured speaker at the next General Council. Who knows? seems like the A/G is more interested in what those outside the movement are saying, those on the inside with any discernment are just the trouble makers. This has been a very edifying thread, and kudos to Dan and George for their constructive interaction. On the matter of progressive sanctification, George laid out what seems to be a very biblical case for it in his 11:55 a.m. comment—one that it would seem hard to argue with, regardless of one's position on the sign gifts. Is there an answer in the affirmative or negative to his question? I was born again about 3 years ago in a charismatic church I still attend. I'm not sure if this church was originally AOG, but it sure seems like it after reading this blog post. I've always found it hard to understand why there are so many requirements in charismatic churches to be equipped to be a christian after being saved. It feels as though you have to achieve different levels of a higher spirituality similar to getting a black belt in martial arts. Some of these requirements are: learning spiritual liberation, learning how to heal the sick, studying spiritual warfare, breaking generational curses, receiving the anointing, learning principles of the tithe and seed sowing etc. The only answer I can come up with is that most of the conversions in our church are not real and that our pastors don't practice expository preaching. By this I mean most conversions in our church come by way of saying the sinner's prayer or responding to an altar call. If our brothers and sisters instead showed true repentance, turned away from sin, put their faith and trust in Jesus, studied scripture and devoted themselves to daily prayer they would be better equipped to serve the body of Christ. Someone once told me that AOG churches do practice expository preaching. Is this true? God Bless you for taking this on...what a labor of love. These are just the things I battle with internally as former AoG, born and raised pentacostal. These are big questions for those of us who have had these experiences, earnestly searching the scriptures for the truth about it all. I will say this, after our first full year at our current church (Baptist) we had learned more in that one year than we had in a life-time in the AoG. We are so thankful for God's grace and mercy in placing us in our current church. I know for myself, identifying with the AoG movement used to give me pride. Ahhh, pride. I had it right, I was the one with everything worked out, spiritually speaking. I couldn't possibly be wrong. I was holier than the Baptist because I believed in the Baptism in the Holy Spirit and I WAS concerned I might loose my salvation because of my sin. Well, I can now honestly say, I don't feel pride...I'm just a wretch like the rest of 'em...searching the Word of God for truth on all things. But I definitely believe that classes of Christians thing even existed within the "have's"...there were elites and regulars. At least that was my experience. The numbers exchange was actually funny, in a really painful way. The long descriptions of what "they" had done was not only telling, but embarrassing. Aren't we all quick to defend the things that are precious to us? Mr. Wood and the other AoG elite don't realize that we've been quietly watching - and grieving. And this is why we left...an apparent disregard for those who were given to them for "keeping" so to speak. We were just a number to them. Using pragmatic approaches to ministry rather than trusting in God. They can tell you all they want that they want more people in heaven, but at the end of the day it's so they can stand before God and say, "Look what I did for You." Call it preaching to the goats and starving the sheep (Rick Cole goes Emergent while the rest go Purpose-Driven)...or selling the sheep to the highest bidding wolf (Bill Johnson, et al and gold dust, feathers, glory clouds...). Praise God for your testimony! Please keep in mind that you have received a gift that is far more important than speaking in tongues: if you have received Jesus Christ as your Lord and Saviour, then you have received the gift of forgiveness of sins and life everlasting in His Name. That is Good News that is infinitely more precious than any other gift! Although there are many Christians who believe that the gift of tongues has ended, there are many other Christians who believe that it has not. Both types of people believe that their position is faithful to Scripture. The Bible appears to affirm that the gifts of tongues and prophecy are still in effect, although cessationists (many of the people who comment on this blog) have reasons for disagreeing, based on the final authority of God's revealed word. Nevertheless, regardless of one's position on these gifts, there is a larger problem. The gifts of tongues and prophecy are often misused and often not genuine, in churches that claim to practice those gifts. Another problem is that some Christians believe that tongues are a necessary proof of conversion or a "second blessing" (if you don't speak in tongues, then you're not a Christian, or a "real" Christian), but Scripture does not say that anywhere. Paul lays out clear guidelines in 1 Corinthians on correct and incorrect use of the gifts of tongues and prophecy, but the problem is that those guidelines are very often ignored in churches that claim to practice these gifts. There are many churches ruled by spiritual confusion as a result. If you speak in tongues, be sure to check that you are doing so in accordance with what Paul has written in 1 Corinthians 12-14, and also keep in mind John's counsel in 1 John 4:1-3, although you seem to have done that, by your profession that Jesus is Lord. And do be sure to be part of a local church that preaches the word in season and out of season (1 Timothy 4:1-4), for the revealed, written word of God must always be the final authority to which we turn, since it is the very breathed-out Word of God (Hebrews 1:1-2; 1 Timothy 3:14-17). 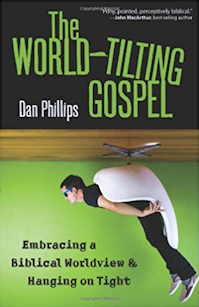 "As Dan phrases it, the AOG has a cultic and insultar view of the Christian life. In practice, they are not cultic and insular: they tend not to call people who are not in agreement with them 'not even Christian'." That was my intent, and I apologize if I said otherwise. My point to my dear friend Dan is that sometimes people have a belief that looks like one thing on paper and plays out in real life in another way entirely. there is no subsequence in the teachings of the apostles. 1Cor 12v13. Eph1v13 Gal 3v2 Eph 4v4,5. Or in OT Eze ch 11 and 36, isa 44. The new covenant equals the giving of the Spirit - no Spirit no Christian Rom 8. Pentecostals have made this far too complicated whilst claiming to be the simpletons. The doctrine of subsequence (and "tongues")is promoted (ab)using the book of Acts not the teaching of the apostles. Col 2:10 And ye are complete in him, which is the head of all principality and power: 1Jo 2:27 But the anointing which ye have received of him abideth in you, and ye need not that any man teach you: but as the same anointing teacheth you of all things, and is truth, and is no lie, and even as it hath taught you, ye shall abide in him. I saw it being practised for 16 years in a "conservative" environment and its embarassing to Christianity. AOG - please sort out these indefensible doctrines. They are an embarassment to the Church and have led to countless heresies and heretics. And whilst you are about it please deal with the flaming arminianism which is at the root of all this error. the cover of the AOG magazine is incredible hypocrisy coming from this group. BTW I live in Africa and know the african church. "pentecostalism" is deadly here especially mixed with the new brand of money preachers that its mutated into - black and white. The "anointed man of God" syndrome resonates well with a culture steeped in ancestral worship and sangomas (witch doctors). its quite syncretistic actually especially with the promises of "signs" in addition to health and wealth hence the "success". but when you scratch the surface you see its leaving a trail of destruction. I agree that things sometime look different on paper than in practice. I still dislike the word "cultic," however. The AG is doctrinally orthodox, in the sense of "mere Christianity." We believe that the Bible is inspired and inerrant, that God is a Trinity of Persons, that Christ is fully divine and fully human, that we are saved through his blood, that we will participate in his resurrection, that he will come again to judge the living and the dead, and that the outcome of that judgment will be either eternal life or eternal punishment. For what it's worth, we were also founding members of the National Association of Evangelicals (although I get the impression TeamPyro probably doesn't like the NAE). Why use the word "cultic" to describe such a group? "Insular" I understand. "Prone to excess" I understand. "Kooky" and "weird" I understand. But not "cultic." Enjoying the opportunity to listen, learn, and push back! have to add. lots of "signs", music, health and wealth, especially for the "anointed men of God" BUT very little BIBLE. yes I know not all pentecostals are like this and there are many dear brethren BUT take a look at the teachings that led to this and they all come from the same source unfortunately. please deal with the error AOG instead of warning Christians against men like spurgeon, edwards and macarthur and sproul which they desperately need to hear. After 100years of pentecostal revival and 40years of charismatic renewal complete with 24 hour christian TV our societies are definitely no better off and we are now debating gay marriage and clergy. the very thing the church needs right now which is sound doctrine you are now WARNING against and putting it in the same catagory as heresy. incredible. wake up AOG and bring us proof of real power not smoke and mirrors in the name of Jesus. Your experience of gifts of the Spirit is not bad. But in your exercise of those gifts, always keep your focus on Jesus. They are his gifts, after all, manifestations of his kingdom (Eph. 4:7-11a). When you keep your focus on Jesus, you will realize that the gifts are his gifts, given to accomplish his purposes, and to be used with a love for others that manifests Christ's reign in your life (Eph. 4:7-13, 1 Cor. 13). You will also realize that the gifts have a deep connection with the mission of the church, namely, to make disciples of all nations (Matt. 28:16-20). This is what Christ commanded us to do, and the gifts--properly used--are an aid to accomplishing that mission. They are not an end in themselves. Their purpose is to bring people to faith and to build them up in that faith (Eph. 4:12). Throughout this thread, several individuals have shared their experience of growing up in or attending an Assemblies of God church, then leaving it for Calvinistic churches. First, my heart is heavy. As an Assemblies of God minister, I am sad that churches in my Fellowship have not served Christ well by not discipling their members better. Second, I think some of your comments point out real problems in Pentecostal churches that need to be addressed, though--for obvious reasons--I don't think Arminian soteriology is one of them. Third, I wonder what value your testimonies have in terms of providing evidence of Dan's point. Dan's argument is that the AG's doctrine of Spirit baptism is a challenge to the gospel. This is a biblical question, not a question of personal experience. If the number of conversions to Pentecostalism has "zero probative value in questions of truth" (Dan's phrase), then the number of deconversions also has zero probative value. Right? "If the number of conversions to Pentecostalism has "zero probative value in questions of truth" (Dan's phrase), then the number of deconversions also has zero probative value. Right?" Sure. Judas walked away from the Lord Himself. I would agree with you here. Policy reminder: as a rule, we don't allow link dumps (great blog, go read/watch this). I try to take responsibility for what's in the meta, so if I'm not going to take the time to read or watch whatever homework assignment folks decide to hand out, I don't let it stand. I feel like that'd be irresponsible. You want to say something, say it here. Don't link. As a rule. "To the AoG, if you've trusted Christ and believed the Gospel, that's a great thing, it's a wonderful thing, it's an all-important thing...but it isn't everything you need." I assume, of course, that when you talk about believing the gospel, you're using that as shorthand for the entire Christian life. In other words, I assume you affirm that those who believe in Jesus should "produce fruit in keeping with repentance" (Matt. 3:8). That "faith without deeds is dead" (James 2:26). That "the only thing that counts is faith expressing itself through love" (Gal. 5:6). If you don't assume this, then we have a much deeper disagreement that needs to be addressed than AG doctrine. "God has indeed blessed us in the heavenly realms with every spiritual blessing in Christ. That is an objective fact. But at the level of subjective appropriation of those objective blessings, the picture looks a bit different. "For example, God has saved me by grace through faith (Eph. 2:8), but I still need to "grow in the grace and knowledge of our Lord and Savior Jesus Christ" (2 Pet. 3:18). God "who is rich in mercy, made us alive with Christ even when we were dead in transgressions" (Eph. 2:4,5). But we still need to "put off your old self...be made new in the attitude of your minds...and put on the new self" (Eph. 4:22-24). "When you believed, you were marked in him with a seal, the promised Holy Spirit" (Eph. 1:13), but we must "keep in step with the Spirit" (Gal. 5:25), "not grieve the Spirit" (Eph. 4:30), and "eagerly desire gifts of the Spirit, especially prophecy" (1 Cor. 14:1). "These passages describe all the provisions God has given us which must (paradoxically) be laid hold of by us. "Does recognizing this distinction create a two-tiered Christianity, or does it reflect the biblical dynamic of the indicative (what God has done) and the imperative (what we should do)?" Hi gabi. Praise God for your testimony. I too was saved through an AOG church and have seen and heard all the arguments and evidences for "tongues" over and over again. I grew up Catholic and love catholics but that's not the point. In fact it was the first question i asked in church - what is this? The answer i got took me down a wild goose chase for 15 years. Briefly the following pointers - tongues are languages. of men 1cor 14, Isa 28. sovereignly distributed by Spirit not "taught" 1Cor 12. to all people groups and denominations without them even knowing about them prior to speaking acts 2, 8, 10, 19. for the purpose of being a SIGN of judgement on unbelieving jews. not a private prayer language - for edification of body.also for the purpose of bringing unity (1Cor 12) to the body not division like today. Cant be used whenever you like - sign gift not like teaching. needs interpretation in the church - another sign gift. Distribution of gift linked to Spirit baptism ie salvation, adding to body 1cor 12v13. See if what you see and experience ties in with this. then focus on what being filled with Spirit actually means - Eph 5 and 6. bigger challenge. God Bless keep searching and press on in Christ. Let me just remind everyone something, all right? I have a fulltime job and ministry, and this isn't it. This is a volunteer activity that I love dearly, believe in deeply, and do when I can. When other priorities rise, this falls. So I do what I can. Don't expect a 15-minute or even fifteen-hour response-time. That is not reasonable. I interact far, far more than most other high-traffic bloggers I read (some is more than zero, right? ), but there's a limit to what I can do. If it can get a quick response requiring little thought, I do. If it doesn't, it may take longer, or just not happen. Hope that's OK with everyone. If it isn't, it's still the way it is. I think most regular readers understand, and I appreciate that. Since you agree with me that deconversions (for lack of a better term) have zero probative value, can we also agree that it is beside the point for commenters to talk about their experience of leaving the AG. Now, I imagine that some commenters would push back by saying that their experience with the AG gives them unique or authoritative insight into the movement. Because of this, then, they would argue it's appropriate for them to introduce their personal experiences into the discussion. Perhaps they're right. But then, why should their experiences be considered more appropriate than mine? I am a third-generation Assemblies of God minister. My grandparents and great aunts and uncles were pioneer missionaries in northwest China/Tibet and Africa. I've served in a number of AG churches in a variety of roles. I'm the editor of our Fellowship's journal, with extensive contact with pastors, missionaries, and educators throughout the movement. My father has served the denomination as a college chaplain, Bible teacher, senior pastor, district official, and now General Superintendent. He's the chairman of the board of numerous AG institutions, including the World Assemblies of God Fellowship. I'm pretty certain that my experience and knowledge of the AG both here and abroad is as good as anyone else's, perhaps even better. But my experience, and whatever unique or authoritative insight it gives me into the AG, still doesn't answer Dan's questions. It's beside the point. Frankly, so is everyone else's experience of the AG. Sorry about that Dan. It's hard to keep all the rules of all the blogs I frequent straight. I'll see if the author of that blog wants to visit here and comment directly, rather than me pointing people to his writing. Can ANYONE explain in simple terms, why the AOG has not publicly rebuked Benny Hinn? If there ever was a clear-cut case of fraud in evangelicalism, he is it. Could it have to do with money and/or numbers of people that he brings in? Nah! That would be... detestable. As one of those "ex-AoG'ers" who now swings Reformed, I agree with your note that my existence should not be an indication of the legitimacy of the AoG's--or any other Wesley denomination's--doctrine of a second work of grace. Even though I don't agree, I think you make a winsome and biblically-legitimate argument for it. The "bad fruit" that so many commenters are pointing to may be attributed to the fact that in most AoG churches the doctrine is not explained in the way you have explained it. It is merely asserted with minimal biblical justification. I would suggest that the reason it is not explained is because the specific distinctive of the AoG within the broader Wesleyan tradition is the "initial physical evidence" of speaking in other tongues. The often bizarre way initiation into this practice is applied in AoG churches and the exegetical gymnastics that pastors must apply to argue for (if they even do so) this idiosyncratic understanding of Wesleyanism's second work of grace often open the door to other aberrations that have been noted in this thread. I left the denomination because of this factor, not because of what Dan writes about in this blog. Being raised in the denomination and even serving in pastoral ministry, I saw an increasing disdain for faithfulness to scripture and sound doctrine and a seeming lack of commitment on the part of the well-intentioned denominational leadership to effectively deal with the problem that plagues so many AoG congregations. Thanks Ian. I suppose once he had used (in every sense of the word) his AOG credentials to get to the point that his schtick was self-sustaining, he no longer needed the AOG. But you can bet that a large portion of his audience is still AOG. One quick response: it seems at best a disingenuous case of having/eating one's cake to say that numbers-plus prove the AOGs Spirit-blest wondrousness, but individuals explaining why they left the AOG (and thus are numbers-minus) is irrelevant. Further, those who left relate AOG realities they experienced that call into question the value of the numbers-plus aspect. Which I intend to return to in great depth sometime later. Out of curiosity are you now a cessationist? If not how are you able to happily exist in a reformed crowd? "I'm a lion! roar, roar!" Where are THOSE in the Bible? Excuse my reliance on "experience," George, but I can no longer take the AOG seriously. Again I'll think you'll find the A/G has taken a position against the extremes you mention all the way back to the 1940's. Now enforcment is whole nother issue. But let me point out another strange aspect about this conversation. The A/G is aggressively planting churches accross the country in the multi-site model. These churches hardly embrace the pentecostalness that should be the characteristic of the A/G. So in a real way they are doing what Dan wants, not on paper but in practice. Just go to any A/G church website and read "what we believe". A commentator's personal experience of what is being taught in an individual church is much different that deconversion statistics. My basic point is that conversion stats don't prove truth and deconversion stats don't prove error. You wrote: "One quick response: it seems at best a disingenuous case of having/eating one's cake to say that numbers-plus prove the AOGs Spirit-blest wondrousness, but individuals explaining why they left the AOG (and thus are numbers-minus) is irrelevant." Let's go back and read what I actually wrote. "In other words, numerical growth has some evidential value, not zero value. Both of us affirm that numerical growth doesn't prove truth in and of itself. But when it comes to the propagation of the gospel, surely numbers tell us something. Otherwise, why count noses in Jerusalem on Pentecost?" "numbers don't prove the truth of doctrine" but have "some evidential value." Heck, I'll even admit that deconversion numbers have "some evidential value." The value, one way or another, must be taken together with other factors, however, and cannot be considered alone. Based on what I know of the AG both here and abroad, I believe that AG ministers are preaching the gospel, and people are responding to it. Because of that belief, the numbers seem to me to provide evidence of this proposition: "the Lord added to their number daily those who were being saved" (Acts 2:47). To me, statements such as this indicate that numerical growth has limited evidentiary value, not zero value. That's my argument. If conversions mean something, then so do deconversions(-from-AOG). Or we could get back to talking about the Bible and the concerns I raised in the posts, which I aim to do later. Right now, need to do more sermon-work. Then, we'll see. Ian, I am not a cessationist, and I don't see an incompatibility with a reformed view of soteriology and a continuationist view of pneumatology. However, in regard to tongues speaking, I see no biblical support for the contention that what happened in the upper room at Pentecost (the gospel being proclaimed in other languages) is what happens when people speak in tongues today. I'm not actually sure what that is. I thought of a different way of framing my response to the issue raised in your response (see my 11:55 AM, July 05, 2012 and 6:36 AM, July 06, 2012 comments). Article 7 of the AG's Statement of Fundamental Truths states this: "This experience is distinct from and subsequent to the experience of the new birth." In the literature, this statement usually gets summed up using the words "separability" and "subsequence." As I understand it, separability and subsequence have less to do with chronology than with logical distinction. In other words, regeneration and Spirit baptism are separate (that is, logically distinct) and subsequent (that is, the former is logically and experientially dependent on the latter). The provocative thought I had this morning is that separability and subsequence are a great way to discuss the relationship between faith and works. Faith and works are separate, logically distinct responses to God's grace. In other words, faith is not identical to works, and works are not identical to faith. But faith and works are subsequent: faith produces works, and good works are not "good" apart from faith in Jesus Christ. If separability and subsequence are a good way to characterize the relationship between faith and works, however, then--by the logic of your critique--anyone who advocates that faith should produce works is advocating a two-tier understanding of Christianity. Right? Those who have faith, and those who have faith + works. 'numbers don't prove the truth of doctrine' but have 'some evidential value.' Heck, I'll even admit that deconversion numbers have 'some evidential value.'" Obviously--I love that word--something can have "some evidential value" and still not "prove" (in and of itself, at any rate) the truth of something. P.S. Your people need your sermon more than I need your response, so focus on that. I'll look forward to a response over the weekend. Dan i mention my experience with AOG because i think its relevant to have experienced these issues and seen the practise and evidence first hand and sincerely having to examine it at great cost such as leaving churches, friends and being branded a "heretic" and having one's salvation questioned. touching this sacred cow in these circles make one persona non grata. The biblical ignorance is rampant - to the point that you hear comments like "john macarthur doesn't believe in the Holy Spirit". No-one is doubting the sincerity and testimony of a man like George (or even a John Wesley to use an extreme example) or even whether God can save in this environment - I know HE can and does. But the point here is whether the foundational teaching of pentecostalism ie second blessing with initial evidence of tongues as proof is biblical and if not what the consequences therof are. If it is we all need to embrace it - it cant be an optional extra surely? If it isnt it is serious and the cause of much which came later. I believe firmly after years of testing it biblically and engaging with fellow aog members that it is not orthodox and has led to the abuses and heresies which are now common-place everywhere. yes you have good men and testimonies but you have also had an environment which has produced a disproportionate amount of scandal, heresy, false prophets and teachers and false "revivals" which have been a discrediting of the term "born-again" amongst the unbelieving world. This teaching has divided the church into two groups - haves and have-nots and the haves have yet to prove that they really have a greater degree of sanctifying power (never mind miraculous power)- after all they are claiming a greater degree of the HOLY SPIRIT. I never saw that evidence and neither has anybody else quite frankly if not the exact opposite as a rule. I remember someone saying we should know them by their fruits - not numbers and not "gifts". Fruits. AOG, Benny, Kenny, TD, Roberts, Hagin, Dollar, TBN, Toronto, Lakeland etc etc claim their heritage as 1906 Azusa - they even celebrated it. This was a major turning point in modern evangelicalism whether we like it or not. We should introduce a term "Evidentialists" ie show me real apostles who live like "paupers" by this world's standards preaching the soundest doctrine with real miracles following and I would join you. What we need is a reality check and some serious "mea culpas" from the pentecostal wing to restore any measure of credibility for these claims of "higher power" and "apostolic gifts". Its a dead horse - let's stop flogging it. Or diverting attention to serious attacks on the gospel propagated by this teaching with sensationalist magazine covers basically calling the truth error and equating it with heresy! Ian, thanks. Interesting observation. If true I guess that means they are systematically forcing the hillbilly element into smaller, non-mega-AOGs (I can say this because I am myself a Reformed Hillbilly). As a professional marketer we'd call that "segmenting the market" where the sophisticated are offered megas while the hillbillies are crowded into the smaller congregations where they can continue to pursue the nuttier practices I've observed in the past. Again, interesting. Not encouraging because once again it's all numbers-driven, but interesting. In Acts, we have the testimony of Scripture to vouch for the validity of conversions. In this day and age, we have to deal with Ed Young, Jr., saying that he baptised over 2,000 people last year and Steven Furtick touting his 5,000+ baptisms per year in order to say their ministries are "fruitful" and faithful. I'd say that this example in Scripture is actually descriptive and not prescriptive. To the question of why recovering AoG members are dragging out their experiences: Because it demonstrates the rotten fruit produced by how those doctrines are practiced in real churches with real people. Just because some people have found a way to cope well within the dysfunction doesn't mean it isn't dysfunctional. And this is why most of us just leave quietly...it isn't worth it. Thank you for taking the time to give some push back to the doctrinal stance of Baptism in the Holy Spirit within the Assemblies of God doctrinal teaching. My post is very long, so I will have to post it in more than one post, due to character limitations. I am going to try as George Paul Wood has, addressing the issues and questions you have in your post. There are plenty of solid comments but the comments stream has veered away from your original post and is almost solely placing the highest form of theological thought on personal experiences. If we simply base our doctrine on personal experience, all of of us are right and all of us are wrong. There can be no, none personal, middle ground. Anyway, I am sure the comments will continue with all types of responses and I am challenged by many and saddened by many, but I know faith is a personal matter over all and everyone deserves a voice and a place to share. "To the AoG, if you've trusted Christ and believed the Gospel, that's a great thing, it's a wonderful thing, it's an all-important thing...but it isn't everything you need. Isn't that a challenge to the Gospel?" "So when I turn from the AoG's self-admitted fundamental teaching, and to the Word of God, what do I read? I could go on and on, but the contrast is stark. The AoG tells me that I, a born-again Gospel-believing Christian, lack essential equipment. I do not have all I need in Jesus Christ and through the Gospel. I am not fully equipped and fully empowered for service. The Father has not graciously given me all things that I need for life and godliness when He gave me Christ, I have not been blessed with every spiritual blessing (see the following verses), I have not been filled full in Christ, and I have not been granted all things essential for life and godliness. I am doomed to limp by, inadequately equipped, until I am upgraded to Christian 2.0." Your challenge is well thought out and worthy of discussion. At first glance, it seem to be proof of you point. However, can I not now go and find biblical texts that help disprove your point and help prove mine? What I mean by that, as you so aptly know, is we can play, this Scripture says that and this one says this. You used Scriptures that do not speak of the activity of the Holy Spirit in the life of the believer to disprove a doctrine that speaks to the work of the Holy Spirit in the life of a believer. Thus, why not take each and every Scripture, which you referenced, in our doctrinal stance and talk of them. Why not address our doctrine and it's Scriptures one by one instead of quoting four Scriptures that "seem" to prove a point that our entire doctrine is off base without actually engaging the Scriptures of the doctrine itself. The AG believes, as George has pointed out already, the orthodox beliefs of the church. We believe the Gospel and we teach Christ and him crucified. And we also teach of the powerful and progressive work of the Holy Spirit in the life of a believer. Which leads to you main point. You believe that we are going against Scripture by believing there is a subsequent work of the Spirit in the life of a believer. 7. The ideal and biblically correct view is that a time-gap between regeneration and Spirit baptism is not a requirement. The emphasis should be on theological, not temporal, subsequence and separability [sic]. Therefore, Pentecostals base their theology of the HS and the subsequent work of the HS in the life of a regenerate believer on Luke-Acts. Those are the Scriptures we focus on and those are the Scriptures that must be addressed. Now of course, Pentecostal scholarship knows now what others will say. This is by no means a new discussion. People will say, you base an entire doctrine on the book of Acts. Acts is a narrative. Acts is not made to be normative and descriptive. Since I like, Dan, do not have all day since we all have full time jobs (and again, thank you Dan for the discussion) I will simply summarize. I believe those who read will act as solid theological, like Dan, and do their homework. As far as Luke-Acts being a place to base theological understanding read I Howard Marshall's Luke Historian and Theologian. In this book, he does a scholarly job and comes to a profound conclusion that Luke-Acts can be profoundly useful for faith and doctrine. As far as how Charismatic and Pentecostal understandings in a pithy but powerful book, read Roger Stronstad's The Charismatic Theology in Luke. In this short treatise, Stronstad indeed finds grounds for a strongly Spirit-centered theology in Luke. It by no means diminishes the Gospel, but instead speaks of the powerful place the Holy Spirit plays in the life of the regenerate believer, the early church, and the mission of the universal church. And since the issue in the main post is again focused on subsequence, which does not have to default to Dan's view that the Gospel is not enough, that the Cross is not enough, or that I need to upgrade to Christian 2.0. The Bible gives us room to discuss that a subsequent work of the Holy Spirit is active in the life of a believer. For this who would like to see the subsequent debate on a highly academic (yet with practical implications level) check out Robert Menzies and William Menzies book, Spirit and Power. The Menzies chapter after chapter lay out the AG doctrine of the Holy Spirit and focus on the issue of subsequent (the main drive of Dan's thoughtful concern). In the book, they dialog with others who disagree with subsequence such as Max Turner and James DG Dunn, both well-rounded and well respected theologians. All in all, I believe that there is room, finding examples and experiences in the biblical text that allow for a subsequent work of the Holy Spirit without assuming this negates the work of Christ on the Cross. As has been mentioned, it was for our benefit that Christ was crucified so we could experience the regenerating and sanctifying power and present of the Holy Spirit in our lives. Dan, thanks for the challenge and I hope I have added some sense of credible and acceptable discourse to your thoughtful post. Thanks for allowing us all to comment. I believe we all love Jesus and want to see his kingdom prosper. Here are the rest of the Scriptures in non-summary from for the argument of subsequence. Was the Pentecost experience of the disciples “subsequent” to their conversion? On one occasion Jesus told seventy-two of His disciples to “rejoice that your names are written in heaven” (Luke 10:20). It is not necessary to pinpoint the precise moment of their regeneration in the New Testament sense of that word. Had they died prior to the descent of the Spirit at Pentecost, they surely would have gone into the presence of the Lord. Many scholars, however, see the disciples’ new-birth experience occurring at the time the resurrected Jesus “breathed on them and said, ‘Receive the Holy Spirit’ ” (John 20:22). (1) Were these men disciples of Jesus or disciples of John the Baptist? Throughout the Book of Acts, every other occurrence of the word “disciple” (mathētēs), with one exception,7 refers to a follower of Jesus. Luke’s reason for calling these men “some disciples” is that he was not sure of the exact number—“about twelve men in all” (verse 7). They were Christian believers in need of teaching; like Apollos (Acts 18:24– 27), they needed to have “the way of God” explained “more adequately” (18:26). My initial response is to wonder whether this description of the AG (me? AGUSA? World AG Fellowship?) is more arrogant or more stupid. our "rotten fruit" was thrown into the spiritual compost heap that manured the field that produced the Calvinist version of you. It's about the most charitable thing I can make of your incredibly uncharitable remark. Well George, no one could say that the AG has borne only rotten fruit, but the unbiblical weirdness aspect of it has borne rotten fruit, that's for sure. So you can play the indignant card if you like in an attempt to silence people who are calling out the weirdness and its attendant problems. However if you saw someone going into a debate wearing a clown suit and expecting people them seriously, sorry, it's just not gonna happen. The AG needs to lose the clown suit. Get angry if you want at the people who are pointing it out, but it's the truth, and the unchallengable weirdness in the pentecostal realm isn't helping our shared cause any, that's for sure. I find your perspectives on the Assemblies of God quite interesting. To assert that the AG stands in contradiction to the statements of John the Baptist and Jesus just isn’t true. In your reference to Mark 1:8, I would like to make the point that the use of the term “all” does not occur, though I do, as we in the Pentecostal Movement, believe this dimension of the Spirit’s work is for ALL believers (based on Acts 2:38-39, cf. Acts 2:17). Your use of the 1 Corinthians 12:13 is interesting, as you are attempting to make a firm theological argument based on the use of a Greek preposition that has multiple meanings. Though it is possible to translate the text as noting a baptism “with the Spirit,” it seems more appropriate to recognize the preposition “en” and the dative form of the term Spirit as noting the Spirit as the agent of baptism, that therefore baptizes the believer into Christ. In dealing with the beliefs of the AG, I think it is important to understand that the stance of the Movement is that all believers have the Holy Spirit. This is based on Romans 8:16, which is one of the passages used to support our doctrinal presentation of salvation. At the same time, even in the book of Acts, there were issues raised concerning individuals’ experiences of the Holy Spirit after conversion (e.g. Acts 8:14-17). As a result, I must say that Pentecostals are biblically justified in their approach to the baptism in the Holy Spirit (as presented by Luke) as a theologically and logically distinct aspect of the believer’s experience of the Spirit. Due to a lack of time in composing these comments, I will present a classical Pentecostal position concerning the Spirit as two aspects of the Spirits work as revealed within a biblical theological framework. The book of Ezekiel speaks of an inward transformation (see Ezekiel 36-37) with the giving of the Spirit. With regard to the giving of the same Spirit, Joel speaks of a charismatic, empowering work of the Spirit (See Joel 2:28-23 / 3:1-5 [MT]). Following Luke’s use of terminology, along with synonymous language of being “filled,” we as Pentecostals acknowledge the writings of both the OT and NT that proclaim both the conversionary dimension of the Spirit’s work and the charismatic dimension the same Spirit’s work. This, along with the continuation of the gifts of the Spirit until the Lord’s return, signifies the inaugural eschatological fulfillment of the Davidic Promise. This is based on Peter’s presentation of the Pentecost event in light of God’s promise to David (Acts 2:22-36, cf. 2 Samuel 7). As a result, it was because of this that Paul was able to tell the Corinthians that they were lacking no spiritual as they were waiting for the Lord Jesus Christ to be revealed. Well, yes, we are "fools for Christ" (1 Cor. 4:10). In this case, unnecessarily so. Let's begin with full disclosure here. I'm an Assemblies of God minister and a professor at an AG university. "He who did not spare his own Son but gave him up for us all, how will he not also with him graciously give us all things?" (Rom. 8:32). "Blessed be the God and Father of our Lord Jesus Christ, who has blessed us in Christ with every spiritual blessing in the heavenly places" (Eph. 1:3). "...you have been filled in him, who is the head of all rule and authority" (Col. 2:10). "His divine power has granted to us all things that pertain to life and godliness, through the knowledge of him who called us to his own glory and excellence" (2 Pet. 1:3). A couple of points need to be kept in mind when interpreting these texts and others like them: 1) The verbs and pronouns are plural, referring to God's blessings poured out on his people (not just individuals); and 2) We have to keep in mind the constant tension found in the New Testament between the "already" and the "not yet," to use the language of my old professor George Ladd. We may have been "blessed in Christ with every spiritual blessing in the heavenly places"—that is to say Christ's triumph has already taken place—but the full realization and implementation of those blessings in our individual lives often has not yet been experienced. If he thinks about this carefully, I doubt that Dan Phillips will want to argue for a totally realized eschatology at the present time. Let me illustrate this a bit from 1 Corinthians. In 1 Cor. 3:1 Paul addresses the Corinthian community with these words: "But I, brethren, could not address you as spiritual people, but as people of the flesh, as babies in Christ." Notice that these are Christians; they are "in Christ." However, they are immature and unspiritual. Everything necessary for Christian maturity and spirituality is there for them, just waiting, but they have not yet appropriated it, even though they seem to think they have it all together. In the next chapter (1 Cor. 4:8) Paul mocks the smug elitism and overly realized eschatology of the Corinthians, who claim to have received all of Christ's benefits, yet who are immature, arrogant, and unteachable: "Already you are filled! Already you have become rich! Without us you have become kings! And would that you did reign so that we might share the rule with you!" I'll make one final point. Neither the Assemblies of God nor any Pentecostal group with which I am familiar teaches or has ever taught that the empowering for witness described in the book of Acts (see esp. Acts 1:8; 2:14-21; 8:14-24; 19:1-7), which often comes later than the moment of conversion in both the biblical narrative and in contemporary experience, began in the twentieth century. Pentecostals maintain that this empowering has been experienced throughout church history although usually without clear a theological articulation of what was happening. To say that a person can't experience God's work without a clear theological understanding of what God is doing would then suggest that no one could have received Christ's atonement prior to the time of Anselm, or perhaps for some, even the time of Luther. Glen, I think you and George have both made very articulate arguments for a "second work of grace" and that Spirit baptism may be seen as a subsequent experience (at least as it is described in Luke/Acts). Also, I think you've offered good push-back to DJP's argument that the AG teaches multiple classes of Christian. As a former AG credential holder (and a former NCU student of yours), I've seen the attitude that DJP cites, but will acknowledge that this is not encouraged by AG leadership and healthy churches within the denomination. HOWEVER, the elephant in the room is the uniqueness of the AG's understanding of the evidence of this second work of grace: speaking in tongues. In other words, one must assert not only that the gift of the Spirit is a subsequent and separate phenomenon to salvation—a belief that has historical precedent and biblical support. But one must also assert that it is ALWAYS initially accompanied by speaking in tongues. If it is not, then one cannot be assured that they have received the gift of the Spirit—regardless of what other fruit or gifts may manifest in one's life. I believe it is this distinctive, not the distinctive of subsequence that causes the AG's understanding of Spirit baptism to stick in the craw non-Pentecostals. And, arguably, it has led to abuses, fake manifestations, manipulation and additional misunderstandings of scripture. I was brought up in the AG. I went to an AG college. I was taught how to interpret scripture properly by faithful AG Bible scholars. When I did so, I discovered that the biblical support for this doctrine is simply not there. I believe there are probably many still in the denomination who have discovered this as well, but remain silent about it, as this is the core doctrinal distinctive of Pentecostalism. George, it isn't a matter of having the last word. You know full well that 1 Cor 4:10 talks about how people who don't believe THE GOSPEL will inevitably view those who do, as fools. Because of THE GOSPEL, not because of bizarre worship practices. Yet you are implying that this verse gives carte-blanche defense to any weird activity that people can dream up, almost as though we ought to go looking for opportunites to be ridiculed as naive dupes, and bring dishonor onto the faith. That's the clown suit I'm talking about. AOG could leave the clown suit without leaving the faith, and then be criticized for following the Gospel rather than criticized for things that are superfluous and unnecesarily silly. baptism generally via the laying on of hands and that the evidence of this will be speaking in "tongues" ie languages unknown to the person being baptised. This will lead to the power Jesus describes in acts chapter 1 which will equip the believer for service in a way that another believer who has not experienced the second baptism does not. None of the Apostles teach this "important doctrine" and Paul explicitly states that there is only one baptism. Obviously there will also be other signs evident with these kinds of powerful Christians similar to what the early church experienced. The rest is history. John Tetzel is a paragon of virtue compared with what we have seen in the past 100 years as a result of this very doctrine. This IS the elephant in the room. And again, calling out heresies like Jesus being a perfect and powerful Saviour who doesn't lose his sheep (as he clearly states in John 10) whilst ignoring the "rotten fruit" which HAS been a major cause of Christ's name being blasphemed amongst the gentiles in our day is a sign that the movement isnt owning up to the elephant. Yes, we can believe that this phenomenon was there all along but people like Luther, Edwards, Bunyan, Warfield, Owen, Tyndale and Spurgeon (we can't be sure if Calvin was saved ie servetus) couldnt give a clear theological articulation of it until Seymour, Parham and Semple Mcpherson came along. This is what is taught in AG schools by professors? I was trying to inject a little levity into the thread. Nothing more. 1. How Soon Can A Person Receive The Holy Spirit? Acts 1 : 4-5 Why did these have to wait? Acts 2 : 1 They had to wait for the Day of Pentecost to Dawn, for dispensational reasons. Acts 2 : 32-33 On the Day of Pentecost the Holy Spirit was “shed forth”. This cannot be repeated. 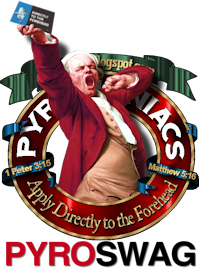 One wanting the Holy Spirit must “come and drink” – it’s there for him. Calvary, too, cannot be repeated; but we each must personally experience what Christ did for sinners on Calvary. ANY SINCERE CHRISTIAN IS ELLGIBLE TO RECEIVE THE HOLY SPIRIT. IT IS NECESSARY TO ASK FOR THE GIFT. 3. What Are The Conditions Upon Which One Receives? Gal . 3 : 13-14 Jesus Christ fulfilled all the conditions when He Died for us on Calvary. He became a curse …. That we might receive the promise of the Spirit Through faith. Gal. 3 : 5 The works of the Law do not enter into it. AS AT CONVERSION YOU ACCEPTED JESUS IN SIMPLE FAITH, SO YOU ACCEPT THE THIRD PERSON OF THE GODHEAD BY SIMPLE FAITH. 4. How Does A Person Set About Being Filled For The First Time? NOTE: Gk: ‘lambano’ – receive, take. The meaning Is active, not passsive. John 7 : 37-39 Take by drinking in the Spirit. John 20 : 22 Lit : “he breathed in”. Drinking is as simple as drawing breath. 5. What About Speaking In Tongues? WHEN THE HOLY GHOST COMES IN POWER, GIVE GOD YOUR VOICE, AND HE WILL DO THE REST. GOD DOES NOT FORCE YOU: HE WANTS LOVING OBEDIENCE. 6. To Summarise, Then, What Must A Perosn Do? 2) Waiting in a passive attitude for something to happen. 3) Not giving your vocal organs over to the Lord when once The Holy Spirit is upon you. The recent comments hold merit for a discussion, but do not stick to the main article from Dan. He did not directly address the issue of speaking in tongues here, which I sure he will do in another post or possibly already has in a previous post. The argument that Pentecostals and/or Charsamatics say that 1800 or 1900 years of Christianity have been misled by not being exposed to current Pentecostal doctrine also holds merit, but again, this is not a major question in Dan's current argument. The difficulty of blog comments and discussions are all the tangents being taken. I have yet to find anyone willing to deal with the plethora of Scriptures and comments I have made that deal directly with Dan's original post. Nevertheless, I agree that reform is needed within our AG ranks, just as any open and wise theologian would say about their own camp. Or are we saying, that there as never been adical beliefs other denominations or theological camps? If a radical view arises, do we make it the generalized characiture of the denomination and/or theological camp? Thisis both illogical and improper for a solid, well-meaning discussion to move forward. Again, I appreciate those who, in Christ-likeness, have made some excellent points. May we all be willing to correct any issues we see arise in our own ranks without to much name calling. Thanks for allowing me to be a part of this discussion. Hi David. the blog started with the publishing of a magazine by the AOG, "the same guys who brought us ..." placing eternal security and calvinism on street pole signs together with Islam, atheism and Buddhism as a list of challenges to the Gospel. I live in the real world in Africa. I can eternally assure you that most of the church here doesnt even know what these things are. They are too busy with purpose driven, church growth, health and wealth, charismania, being baptised in the spirit and gifts and miracles. The world sees this and is not that impressed especially with flashy pentecostal televangelists pratising simony and falling around on the floor or being slain in the spirit. Strong biblical expository preaching is rare. The same guys wanting to warn about challenges to the gospel whilst equating truth with out and out heresy share a large responsibility for the challenges to the gospel that once only spirit baptised, un-gifted guys like us face. that's the point. And you never quoted a single prescriptive teaching verse from an apostolic epistle to the church to back up the fundamental tenet of pentecostal teaching which led to many of the real challenges to the gospel. I appreciate your response. I'm not sure I follow you though. May I seek some clarification? 1. I am keenly aware of how this all started. I am aware of our AG journal called Enrichment. I am aware that the cover caused many questions inside and outside the AG camp. I am also aware that was all addressed in another post. However, Dan's discussion here is very specific and that is what I'm addressing. 2. Are you implying that because I do not live in Africa, that I do not live in the "real" world? Or that I do not live among African Pentecostals, I know nothing of the Pentecostal doctrine? I'm confused what you are meaning here. 3. Are you attempting nullifying the appropriate and biblical understandings of the gifts and workings of the Holy Spirit by Pentecostals and Charasmatics by placing this discussion alongside poor church praxis ideas like purpose driven church, prosperity gospel, etc? The AG has positions on the many abuses of poor Pentecostal and Charsmatic theology gone wild. Dan actually mentions that in his post, and he is right, the AG needs to be more and more afressive to deal with poor theology as mentioned in this point. 4. Are you implying that the writings attributed to Luke (Luke-Acts) is inadequate to defend a doctrinal position on the Holy Spirit? You said, I did not mention an epistle, I'm guessing you mean Paul, James, John Peter, etc to defend my argument and thus implying my lengthy discourse has zero merit. My four or five consucitive posts dealt with many Sciptures. Are those Sciptures not allowable in this dscussion. Do I understand you right? Or am I missing what you meaning? 5. You seem to base your argument not on the place of AG doctrine as it is in written form but on experiences you have had with poor versions of Pentecostals and Charsmatics in generalization, that may or may not connect back to the AG or her doctrines. Experience is powerful, but I can easily blow off or negate your argument by listing poor forms and expressions of your denominational affiliations or theological beliefs, but that is far from helpful, lacks good nature, and does a disservice to healthy and mature dialog. I have numbered my responses to help you clarify what you mean, because I assume on many points I am misunderstanding you. Again, thanks for your response. Plus, I'd really like to hear your thoughs on the many Scriptures I used in Acts t speak of the work and activity in the early church. I'd especially curious because your worldview of living in Africa does help open me up past my own worldview, and that's a very healthy thing. I teach and have taught for many years now that there are three key ideas at the core of Pentecostalism. I used to call these "distinctives," but we Pentecostals have now convinced so many people of at least one of these points that the word "distinctive" doesn't work very well anymore. The three points are: 1) Gifts of the Spirit are for today, not just the distant past; 2) An empowering for witness is available to those believers who seek it, and this empowering is separate from (and at least logically subsequent to) the salvation experience; and 3) Speaking in tongues is the "initial physical evidence" (i.e., first outward sign) of this empowering for witness. It appears that I'm going to have to divide my discussion of these points into three separate posts. So here goes for Point 1 . . . .
Pentecostals have pretty much won the war on Point 1. Today it is quite rare to find a New Testament scholar (which I will define roughly as someone holding a Ph.D. or a Th.D. from a credible academic institution) who is a cessationist. I'm now 56 years old, but when I was a boy cessationism was clearly the predominate view. How times have changed. Not only are the standard cessationist arguments suspect hermeneutically, but they are prime examples of what Reformed theologians often accuse Pentecostals of—basing our theology on experience. Calvin read the New Testament and saw lots of miracles and gifts of the Spirit in operation. Then he looked at the church of his day in Geneva and saw none of that. How could he explain the disconnect? He simply came up with fanciful explanations for why God didn't act in the sixteenth century the way he had in the early centuries of the Church. Also, there is a huge epistemological problem with the cessationist viewpoint. How can someone honestly claim that the faith "stands or falls" on the reality of miracles in the first century, but then refuse to acknowledge the possibility of that sort of thing in the twenty-first century? The mental gymnastics required for this sort of thinking are impossible for me. On to Point 2 . . . I think that Pentecostals are taken more seriously on this front as well, although we certainly have not won this battle. Many, however, accept the idea of a second work of grace as a defensible position. Personally, I wish we Pentecostals would use different terminology. There should be nothing sacrosanct about the term "baptism in the Holy Spirit" because it isn't actually a technical term. Actually that noun phrase never appears in the Bible. (Verb constructions—e.g., "he will baptize in the Holy Spirit"—do.) I wish we simply spoke about empowerment with or by the Holy Spirit. In Luke-Acts this empowerment is spoken of in many ways including being "baptized in the Spirit" (Acts 1:5; 11:16), being "filled with the Spirit" (Acts 2:4; 4:8,31; 9:17; 13:9,52), being "full of the Spirit" (Acts 6:3,5; 7:55; 11:24), "receiving the gift of the Holy Spirit" (Acts 2:38), and being "clothed with power from on high" (Luke 24:49). There is also the problem that people get confused by 1 Cor. 12:13: "For by one Spirit we were all baptized into one body . . . and all were made to drink of one Spirit." This passage clearly refers to salvation, not a subsequent empowering for witness. But here we have a different author from Acts 2 and a completely different image. In Acts 2 Jesus is the baptizer and the Spirit is the element into which the person is baptized. Here the Spirit is the baptizer and the body is the element into which the person is baptized. The only point of similarity is that the image of baptism is used, but it is used in different ways in Acts 2 and 1 Corinthians 12. If someone were to ask most evangelical believers, "Do you believe it is possible for God to empower you to declare the gospel more effectively?" I'm sure the overwhelming majority would respond, "Yes, of course!" If we remove the problematic phrase "baptism in the Holy Spirit" from the debate, we'll find that we have less over which to disagree. I'll discuss Point 3 in another post. 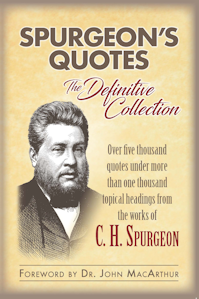 "And you never quoted a single prescriptive teaching verse from an apostolic epistle to the church to back up the fundamental tenet of pentecostal teaching which led to many of the real challenges to the gospel." In my Greek New Testament, the historical narrative portions (Matthew through Acts) take up 528 pages, while the remainder of the NT (mostly epistles) takes up 367 pages. Are you saying that we can derive theology only from "prescriptive teaching verse from an apostolic epistle"? If that's what you're saying, I find it odd that God would take the time to inspire historical narratives only to have us disregard them as we put together our theology. Plus, there is an operational canon within a canon here that I find problematic. As for prescriptive verses from apostolic epistles, how about these? "Follow the way of love and eagerly desires gifts of the Spirit, especially prophecy" (1 Cor. 14:1). "What shall we say, brothers [and sisters]? When you come together, eachof you has a hymn, or a word of instruction, a revelation, a tongue or an interpretation. Everything must be done so that the church may be built up" (1 Cor. 14:26). 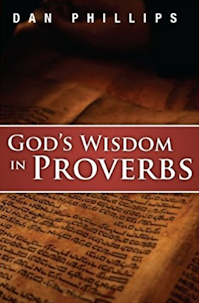 "Two or three prophets should [not might, should] speak, and the others should weigh carefully what is said" (1 Cor. 14:29). "Therefore, my brothers [and sisters], be eager to prophesy, and do not forbid speaking in tongues" (1 Cor. 14:39). "We have different gifts, according to the grace given to each of us. If your gift is prophesying, then prophesy in accordance with your faith..." (Romans 12:6). "Do not get drunk on wine, which leads to debauchery. Instead, be filled with the Spirit [Total side question: Why would Paul tell the Ephesians to be filled with the Spirit if they'd already been filled with the Spirit at conversion? ], speaking to one another with psalms, hymns and songs from the Spirit [or spiritual songs]" (Eph. 5:18,19). These verses are prescriptive apostolic teachings, imperatives to exercise charismatic ministries in one form of another. Are you doing these things? My guess is no. Why? Because, it appears to me, your hermeneutic operates this way: Historical narratives should be interpreted by apostolic imperatives, which should in turn be interpreted according to cessationist norms. Dan has raised some tough issues in his post above. But one of the elephants in the room, hermeneutically speaking, is cessationism. As for your post previous to my post, you are correct. It is an elephant in the room. It is very difficult to say, we believe and teach this without the question, what about the years previous to 1906? Where they uninformed, mislead, lacking, etc? Are we rude, arrogant, or wrong to teach or believe as we do? These are excellent questions, the AG and other Pentecostal and Charasmatics need to think on and address. I'm glad you are challenging us here. Nevertheless, because of the last hundred years of doctrinal formation and experience in Pentecostal and Charasmatic camps, we must find a way to express what we see taught in Scripture and what we experience in our churches. Spiritual formation and articulation is still young in the Assembles of God. So, yes, you are right. There is much room for reform and improvement. Again, I'm honored to be apart of this excellent discussion. Just enough time to say this: oh, good heavens. Now we're deciding truth by polling PhD's? So much for inerrancy, penal substitutionary atonement, 6-day creation, Pauline authorship of the Pastorals, Petrine authorship of 1-2 Peter, sixth-century date for Daniel, unity of Isaiah, and a host of other things you do affirm if you believe the Bible. That is a ridiculous statement. There are no Biblically orthodox continuationists, period. Every Biblically orthodox Christian is a cessationist: every last Christian. It's only a matter of specifics. See here and here and here and a host of posts under this general tag. There's some more edifying reading for you. This is going well beyond silly. I'm closing the thread until I have time to take the wheel, which is unlikely to come before next week.